Eating healthily, exercising and developing a positive state of mind are usually in the top ten New Year’s Resolutions for most of us. While Christmas can often be a time of divine indulgence, by the time New Year’s Day arrives, we’re ready to embrace a new way of being for the coming year. So this 2019, Frontlinestyle is on hand and ready to help with a New Year, New You! Our team of beauty experts, professionally trained beauty therapists and front-of-house consultants are on-hand to guide you into being the best you can be – from the inside out. What do we mean by this? Well, you only have to see the rise of holistic therapy and the link between inner equilibrium and outer radiance to know that if you take care of the whole of you – mind, body and spirit – you will glow with health and beauty – that’s a promise. We start with taking care of dull and dehydrated skin which is often a result of late nights, stress, cold climates and demanding lifestyles. 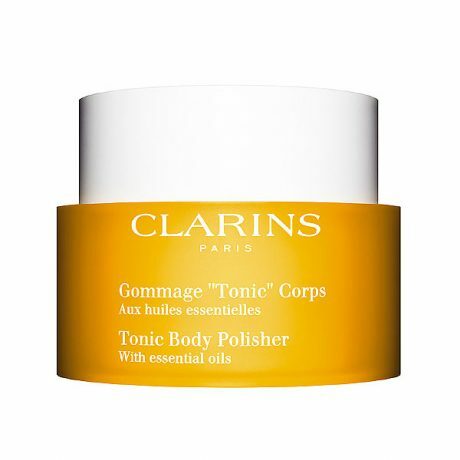 CLARINS Body Tonic range is just that – a tonic for the senses, with Tonic Body Polisher – the ‘ultimate glow-getter’ combining revitalising rosemary, rosewood, mint, sugar and salt crystals which eliminate dry skin cells and impurities leaving skin that looks and feels radiant and super-smooth. Breathe in the refreshing blend of plants and let your mind and body enjoy this wonderful exfoliating formula. Available at Frontlinestyle, 250g at £33. Follow up with Body Tonic Balm 200ml at £32, a fusion of ginseng and apple seed oil which promote the appearance of toned, supple skin; all the while nourishing dry skin and refreshing the senses with aromatic essences of feminine geranium, rosewood, mint and rosemary – all the benefits of a spa day in the comfort of your own home! Rest and relaxation on a deep level is vital to true beauty from the inside out, helping regenerate tissue growth and consequently the promotion of glowing skin, bright eyes and shiny, healthy hair. 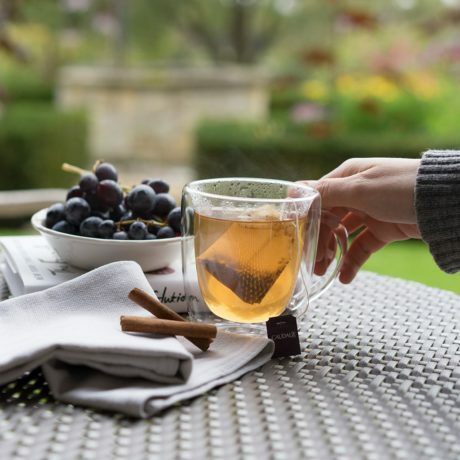 Caudalie’s Organic Draining & Slimming Herbal Tea, 20 sachets at £10 is accelerate the draining of water and toxins from the body resulting in a feeling of well-being and buoyant lightness. A delicious blend of five 100% organic plants, these herbal infusions were exclusively created for the Vinothérapie® Tisanerie des Spas. To nourish and deeply rejuvenate rough and dehydrated skin, NEOM Skin Treatment Candle at £36 is a blend of Nature’s finest ingredients – cocoa butter, soybean oil and vitamin rich almond oil, combined to replenish vital oils needed by your skin whilst fragranced with the purest organic essential oils. To use this innovative and highly effective treatment, simply light the candle for 30 minutes until a pool of wax is formed. Blow the candle out, leave it to stand for two minutes and then lightly drizzle on dry areas of the body, massage in, sit back and…breathe. Deep sleep is one of the best kept beauty secrets and L’Occitane’s Pillow Mist, 100ml at £18 contains lavender, mandarin, geranium and bergamot essential oils formulated for relaxation and a deep sense of well-being. Simply spray in your bedroom and on bed linen to create a calming and peaceful atmosphere. Nurturing and taking care of yourself is effortlessly easy at Frontlinestyle with our range of incredible massage treatments, specifically designed to re-balance, relax and restore your energy levels and sense of inner harmony. Our Lava Shell Massage, available in our Bath and Wells beauty salons is a wonderfully warming spa therapy which eases muscular and joint aches and pains whilst promoting a deep sense of relaxation. 100% recycled Lava Shells heat up internally for up to an hour with a patented combination of natural minerals and water and this natural mineral heat warms and nurtures you – naturally. Back, Neck and Shoulder Massage at £37 for 30 mins. and Full Body Massage at £62 for 60 mins. CLARINS Hot Stone Massage is a personalised hot stone massage which gently releases tension and stress with the therapist using massage techniques combined with individually shaped, heat-releasing marble and slate stones. 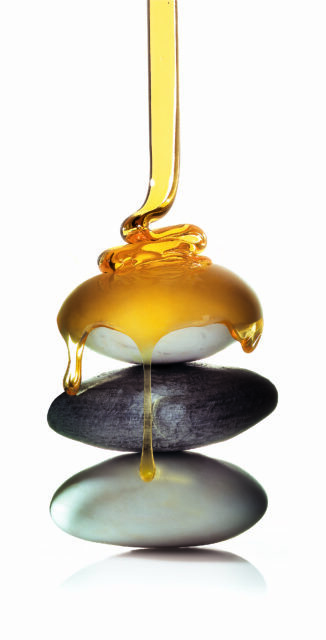 Melted honey massage gel with infused aromatic essential oils adds intensity to this calming, restorative treatment. £62 for 50 mins. Available in our Bath beauty salon, the Frontlinestyle Indian Head Massage uses ancient techniques where specific massage movements on specific areas of the face and scalp ease tension and stress, working on a deep level to clear emotional blockages and heal on a deep level. The result is improved energy, enhanced sleep and clarity of thought. From £31 for 30 mins. Also available in our Bath salon, the CLARINS Wellness Treatments are the ultimate in nurturing, sublimely luxurious treatments, designed to rest and rejuvenate your mind, body and spirit. The CLARINS Beauty Sleep Wellness Treatment, £70 for 85 minutes, is a restorative ‘journey’ for your senses and skin using the very finest CLARINS skincare and includes specific breathing techniques to promote inner calm on a deep level. CLARINS Rise and Shine Wellness Treatment boosts your mood and lifts your spirits helping you to feel rested, relaxed and even crave less food! This wonderful combination of massage and facial is powered by CLARINS products and also uses mental visualisation with breathing techniques making this treatment perfect for facing the New Year – refreshed and revitalised!